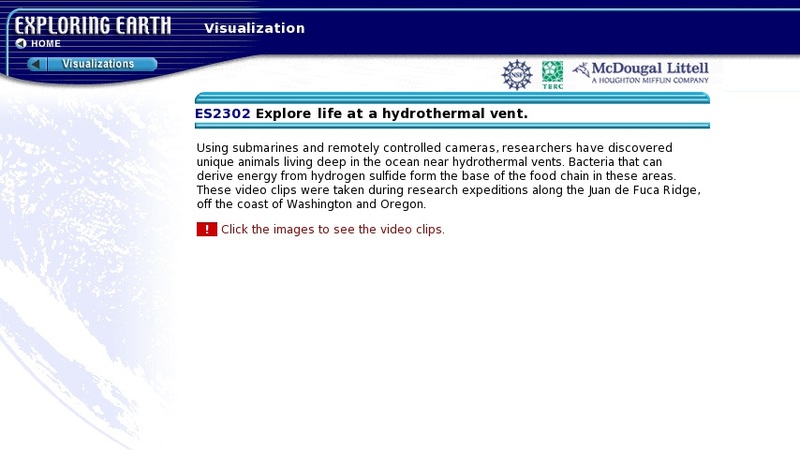 This site features Flash movies about the physical and biological characteristics of submarine vents. Some of the animations are simulated and some are real footage from remotely controlled instruments. Topics include the chemistry of water emitted by hydrothermal vents, as well as worms, octopuses, and other biota that inhabit these extreme environments. The video clips were taken during research expeditions along the Juan de Fuca Ridge, off the coast of Washington and Oregon.